Our MEDIAGIRLS staff was excited to hear that Canva (www.canva.com), a graphic-design tool website that we use regularly, is doing their part to shake up the world of stock photography. For those who don’t know, stock photography is comprised of professional pics of common places, landmarks, nature, events or people that are bought and sold on a royalty-free basis. Most of us see these photos regularly in magazines, billboards, social media, etc. The girls and women featured in stock photos are typically thin, white, and in line with the media’s version of “perfect looking.” Canva’s Natural Women Collection is aimed at authentically representing all forms of women who are as “unique as they are beautiful.” We interviewed Elle Hughes, Image Team Coordinator of Canva, to find out more. As someone who looks through quite a bit of stock photography, and sees almost all tall, thin, white young women with perfectly straight teeth, thank you! Tell us more about the inspiration behind the Natural Woman Collection. Thank you! We were inspired to create the collection due to the influence that stock images can have over what we see in the media, especially when they make up the bulk of what appears in blogs, magazine and other media. Any positive changes we could make to the image library could hopefully trickle down into the public perception of certain subjects. I knew that the photos in our image library, used in millions of Canva designs, were the perfect opportunity to positively influence what is being put out into the world. I realized there was work to be done to audit and grow the library so it was more aligned with the diversity of the real world. My team and I decided that the first subject we’d tackle was the way that women are represented. What was your top priority? We created the collection to show a diverse range of women, exactly the way they are, and celebrating their unique beauty. 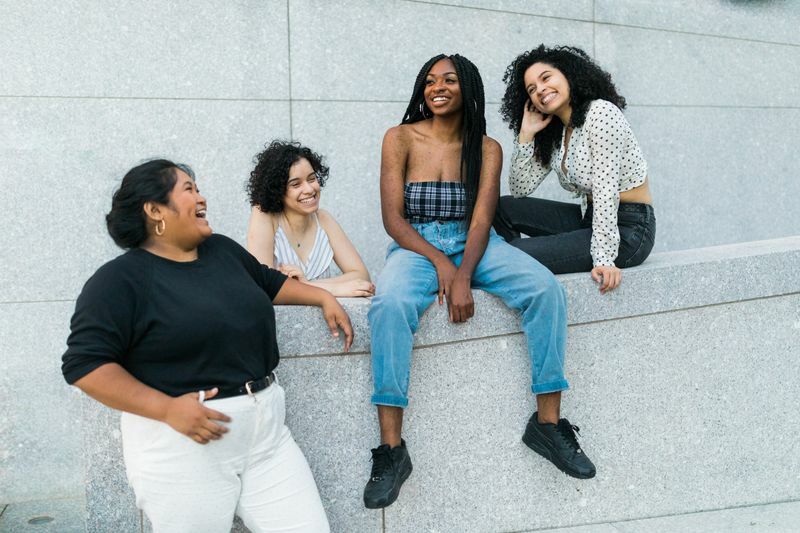 We wanted to push into the mainstream the concepts that are rarely depicted in stock photography, promote body positivity and aim for a future where a woman’s appearance doesn’t define her. Tell us about the actual process of working with the photographers you selected to find “everyday women, whose personal stories and experiences challenge both gender norms and societal standards of beauty.” How did you find those photographers and what did you ask of them? We kicked off with some in-house photo shoots, using an ad on a model-finding site, explaining our campaign and what we were hoping to achieve. Within 24 hours, we had hundreds of responses which was amazing – women wanting to volunteer and take part as they felt so strongly about our mission. We then looked for photographers across the world, including the US, Philippines, Germany, Mexico and more, giving them a creative brief to capture images that would be used in the collection. It was so great to hear that many of the photographers reported the project to be so rewarding – typically they never had the opportunity to work with such a diverse range of models. We love that you invite all women to contribute their photos to the collection. Can you tell us more about how this works? Yes, we’d love contributions to help us expand the collection – the more diversity, the better! If you’re a photographer who’d like to contribute to the collection, email contributor@canva.com and mention the Natural Women collection in the subject line. Thank you. And lastly, selfishly, will you be providing more pics of girls and young women, I hope? This is exactly why we’re appealing to existing and new contributors to submit more content to the Natural Women collection – we absolutely want to expand and offer a more diverse and inclusive library!